It’s what we expect as shoppers—what’s in the food will be displayed on the label. But a new scientific examination by the non-profit food fraud detectives the U.S. Pharmacopeial Convention (USP), discovered rising numbers of fake ingredients in products from olive oil to spices to fruit juice. “Food products are not always what they purport to be,” Markus Lipp, senior director for Food Standards for the independent lab in Maryland, told ABC News. In a new database to be released Wednesday, and obtained exclusively by ABC News today, USP warns consumers, the FDA and manufacturers that the amount of food fraud they found is up by 60 percent this year. USP, a scientific nonprofit that according to their website “sets standards for the identity, strength, quality, and purity of medicines, food ingredients, and dietary supplements manufactured, distributed and consumed worldwide” first released the Food Fraud Database in April 2012. The organization examined more than 1,300 published studies and media reports from 1980-2010. The update to the database includes nearly 800 new records, nearly all published in 2011 and 2012. Among the most popular targets for unscrupulous food suppliers? Pomegranate juice, which is often diluted with grape or pear juice. Lipp added that there have also been reports of completely “synthetic pomegranate juice” that didn’t contain any traces of the real juice. Milk, honey, coffee and syrup are also listed by the USP as being highly adulterated products. Also high on the list: seafood. The number one fake being escolar, an oily fish that can cause stomach problems, being mislabeled as white tuna or albacore, frequently found on sushi menus. National Consumers League did its own testing on lemon juice just this past year and found four different products labeled 100 percent lemon juice were far from pure. Greenberg explains there are indications to help consumers pick the faux from the food. “In a bottle of olive oil if there’s a dark bottle, does it have the date that it was harvested?” she said. While other products, such as honey or lemon juice, are more difficult to discern, if the price is “too good to be true” it probably is. Many of the products USP found to be adulterated are those that would be more expensive or research intensive in its production. “Pomegranate juice is expensive because there is little juice in a pomegranate,” Lipp said. But the issue is more than just not getting what you pay for. “FDA’s protection of consumers includes not only regulating and continually monitoring food products in interstate commerce for safety and sanitation, but also for the truthfulness and accuracy of their labels,” the FDA said in a statement to ABC News. Most recently the FDA issued an alert for pomegranate juice mislabeled as 100 percent pomegranate juice, as well as one for the adulteration of honey. About 1,000 workers at Shanghai Shinmei Electric Company held the 10 Japanese nationals and eight Chinese managers inside the factory in Shanghai starting Friday morning until 11.50 p.m. Saturday, said a statement from the parent company, Shinmei Electric Co., released Monday. It said the managers were released uninjured after 300 police officers were called to the factory.— Hundreds of Chinese factory workers angry about strictly timed bathroom breaks and fines for starting work late held their Japanese and Chinese managers hostage for a day and a half before police broke up the strike. A security guard at the Shanghai plant said Tuesday that workers had gone on strike to protest the company’s issuing of new work rules, including time limits on bathroom breaks and fines for being late. The plant makes electromagnetic coils and other electronic products. It was closed Tuesday, said a man who answered at the plant but refused to identify himself. He said no workers were on strike and staff would return to work on Wednesday. Strikes have become commonplace in China, as factories operating in highly competitive markets try to get more productivity from their labor force and workers connected by mobile phones and the Internet become more aware of their rights. Shinmei Electric’s statement didn’t say specifically what the workers were protesting, but said management reforms and labor policies were believed to be a cause. It said talks were under way with workers at the plant and that police were questioning staff. A man who refused to give his name from the press office of the Shanghai police bureau said he had no information about the incident and referred calls to the Shanghai government press office, where calls rang unanswered. — Two deaths and multiple cases of illness across 20 states have been linked to cantaloupes contaminated with salmonella, according to the U.S. Food and Drug Administration. State and federal health officials are advising consumers to discard all cantaloupes from southwestern Indiana, as tests have found evidence of the same strain of salmonella bacteria associated with a multi-state outbreak that health officials say is still ongoing. The outbreak, which began in July, has been linked to two deaths and sickened at least 50 people in Kentucky. According to the Food and Drug Administration’s website, a total of 141 persons infected with the outbreak strain of Salmonella Typhimurium have been reported from 20 states: Alabama, Arkansas, California, Georgia, Illinois, Indiana, Iowa, Kentucky, Michigan, Minnesota, Missouri, Mississippi, New Jersey, North Carolina, Ohio, Pennsylvania, South Carolina, Tennessee, Texas, and Wisconsin. The agency cautions consumers not try to wash the harmful bacteria off the cantaloupe, or cut through the outer surface, as contamination may be both on the inside and outside of the fruit. Consumers with questions about food safety are encouraged to call 1-888-SAFEFOOD or consult the fda.gov website. – Wash hands with warm soapy water for 20 seconds before and after handling food and after using the bathroom, changing diapers, and handling pets. – Wash utensils, cutting boards, dishes, and countertops with hot soapy water after preparing each food item and before you go on to the next item. – Consider using paper towels to clean kitchen surfaces. If you use cloth towels, wash them often in the hot cycle of your washing machine. The Centers for Disease Control and Prevention reports that people in a normal state of health who ingest Salmonella-tainted food may experience diarrhea, fever and abdominal cramps, which typically begin within 12 to 72 hours. This may be accompanied by vomiting, chills, headache and muscle pains. These symptoms may last about four to seven days, and then go away without specific treatment, but left unchecked, Salmonella infection may spread to the bloodstream and beyond and may cause death if the person is not treated promptly with antibiotics. Children, the elderly, and people with compromised immune symptoms should practice extreme caution, as salmonellosis may lead to severe illness or even death. Earlier this week, the Food and Drug Administration found Listeria monocytogenes on a honeydew melon and at a packing facility in Faison, North Carolina, but no illnesses have been reported. In 2011, the number of deaths linked to a listeria outbreak in cantaloupe rose to 29, topping a 1985 mark for the most deaths among adults and children. Experts say the third-deadliest U.S. food outbreak was preventable. A Virginia paper mill that shut down a few years back is reopening to meet rising demand from China and India. The mill is “gearing up to begin producing fluff pulp—the soft, white absorbent used in diapers, tampons, and some medical bandages,” this morning’s WSJ reports. Fluff pulp is apparently made from the fibers of a type of pine tree that grows well in the Southern U.S., so it makes sense to make it in U.S. factories and ship it to Asia. U.S. workers selling stuff to the rising middle class in China and India is, of course, good news. And it’s the sort of thing we’re likely to hear more of, for several reasons. * China’s leaders want to shift the economy away from an over-reliance on construction projects and toward more middle-class consumption. * Millions of Chinese people are moving into the middle class. * Made-in-America is a mark of quality in China. * China’s currency has been getting stronger relative to the dollar, which makes U.S. products are cheaper for Chinese consumers. One exporter we visited in Shanghai last year said she saw a big future in selling U.S. imports in China. Farmers markets tend to be thought of as the province of the well-to-do, peddling things like $12 heads of organic lettuce and edible chrysanthemum leaves. But with more than 7,000 farmers markets across the country, according to the USDA, surely their appeal must extend beyond cost-blind locavores. Indeed, the few studies of farmers market prices we’ve found show that consumers on a budget can actually save on locally grown fruits and vegetables this time of year. Can you save money by shopping at the farmer’s market? A 2011 survey by consulting firm SCALE Inc.found that farmers market prices were equal to or cheaper than supermarket prices about three-quarters of the time. The primary exceptions were free-range meat and eggs, which cost an average of 10% more than free-range products at grocery stores and 47% more than conventionally raised products. The items in the study included apples, bell peppers, zucchini, potatoes, butternut squash, cucumbers, tomatoes, chicken, eggs, ground beef, and other everyday foods. 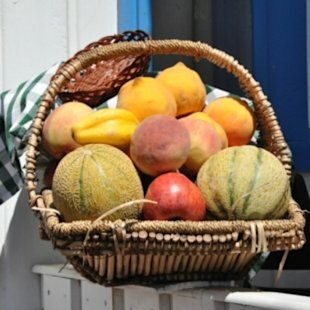 SCALE surveyed prices last summer at two dozen farmers markets in Kentucky, North Carolina, South Carolina, Tennessee, Virginia, and West Virginia. The study compared each farmers market to two nearby grocery stores and found that shopping at the farmers market yielded an average savings of 12% when comparing like items (i.e., organic apples to organic apples). However, when the study’s author simply sought out the cheapest available item (paying no attention to whether poultry was free-range or conventionally raised, for example), slightly more than half the time he found it at the supermarket. This suggests that consumers who don’t make a point to buy organic produce and grass-fed meat may not see the same savings at the farmers market as shoppers who do. All American Clothing Co. Continues to ‘Grow and Sew.’ The All American Clothing Co. is pleased to announce the creation of new jobs in Arcanum, OH. The Village of Arcanum welcomes the All American Clothing Co. to its industrial location with the announcement of a new headquarters for the USA Made clothing company. The new 45,000 square foot location will feature a substantial amount of warehousing space, a showroom, a retail store, and main offices for its employees. The All American Clothing Co. also plans on installing a manufacturing facility within the next year. 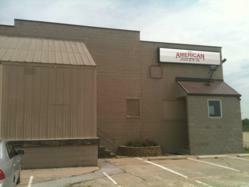 With its latest expansion, the All American Clothing Co. is pleased to announce the creation of new jobs in Arcanum, OH. Offering a USA Made product can create up to $15.7 billion if every American (313,793,643 citizens) spent $50 a year on one USA Made clothing item. That number alone can create thousands of jobs for American citizens. “We care about our country and the people in it; if we were only in it for money we would move our production overseas. We will not trade American jobs for foreign profits,” said BJ Nickol, Co-Founder of All American Clothing Co. The All American Clothing Co. was founded by Co-Owner Lawson Nickol in 2002. Prior to this, Lawson worked for another USA Made jeans manufacturer and was on his way to a promising retirement. While shopping one evening, Lawson made a damaging discovery. He discovered his employer`s jeans in a store with a tag that said ‘Made in Mexico.’ The company he worked for had begun to outsource. He immediately sent in his resignation and started a family owned clothing company along with his son BJ and wife Mary Ann. Together, they instilled the same American Made core values that he believed in and established the All American Clothing Co.
Today the Nickol family continues to operate the company that supplies Americans with products that they can be proud to wear. The family and the employees believe the USA label will always stay on their jeans because of the importance of USA Made. When consumers buy a pair of All American Jeans, the Made in USA label also means thank you from the company, its employees, and the people in America who still have good jobs due to folks like you. Thank you from all of us.